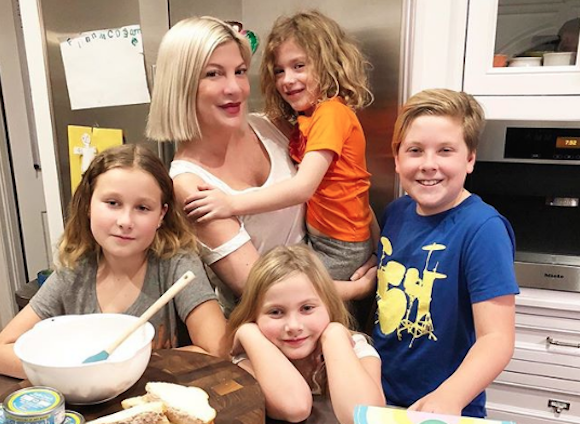 The pair was with their five children out at a diner in Tarzana, California on Friday afternoon when cops broke in and escorted the group out through the back door. WTF??? Related: Who's To Blame For Tori's Problems? The entire family was escorted from out of the back of the restaurant — Black Bear Diner in Tarzana — but it's unclear whether anybody was arrested, or if there will be any ongoing legal ramifications from this little incident. What we do know is that it's just another black mark on what has been a VERY difficult couple weeks for the couple and their children.